This summer I had the amazing opportunity of doing an internship at the famous and beautiful Ganna Walska Lotusland, and it was such a great learning experience! This internship really was ideal; paid, housing provided, in beautiful Santa Barbara, and did I mention the garden is INCREDIBLE?! The housing that Lotusland provides is on the grounds and is basically just a room with its own bathroom, which is all connected to what they call the “green cottage,” where all the gardeners meet in the mornings. My room was pretty spacious and comfortable, but hearing coyotes and critters all night definitely took some getting used to. This 10-week program has been a great stepping-stone from the textbook-ﬁlled academic lifestyle to the hands-on world of public gardens. I got to spend my time at Lotusland working directly with the Plant Health Care Coordinator, Corey Welles, who has worked at Lotusland for 22 years. Corey introduced this garden to the world of composting and sustainable management about 20 years ago. On the first day of my internship I was shown all around the garden and the backﬁelds. Corey also told me that he would be going on vacation for 4 weeks and that I would be “in charge” of a couple of his duties. I spent my ﬁrst week with Corey learning how to brew compost tea, set rodent traps (gophers, voles, and rats), take and send soil samples, and keep up the compost piles. Corey is all about gopher trapping; it is literally the thing he prides himself most on, so he spent a lot of time teaching me his techniques. 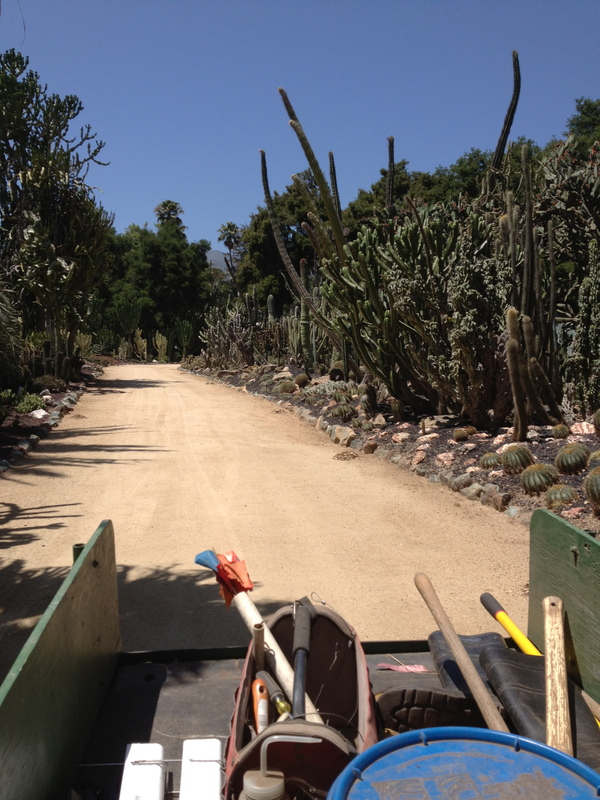 Other than these duties, I would spend the rest of Corey’s vacation time working in each of the 12 different gardens. 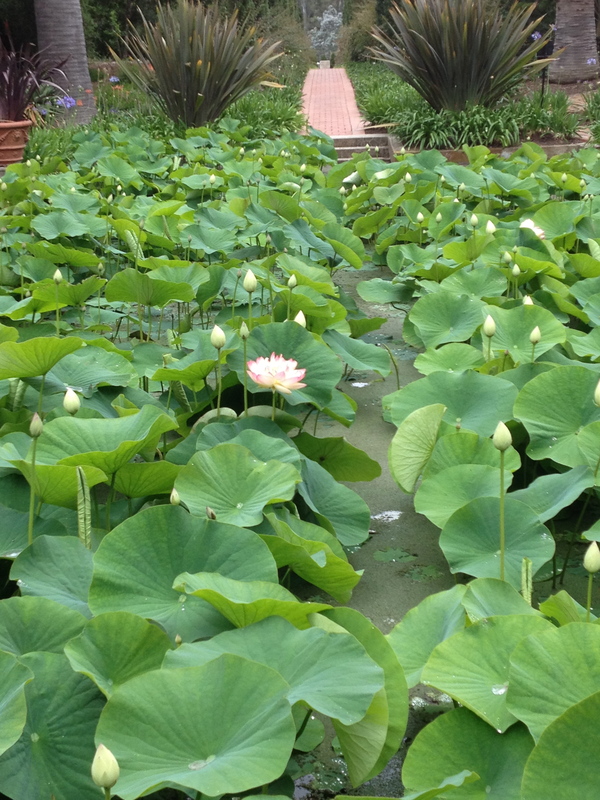 Upon coming to Lotusland, I did not know much about compost tea and its uses and beneﬁts. The compost for the tea all comes from Lotusland’s own compost piles in the backﬁelds of the garden. 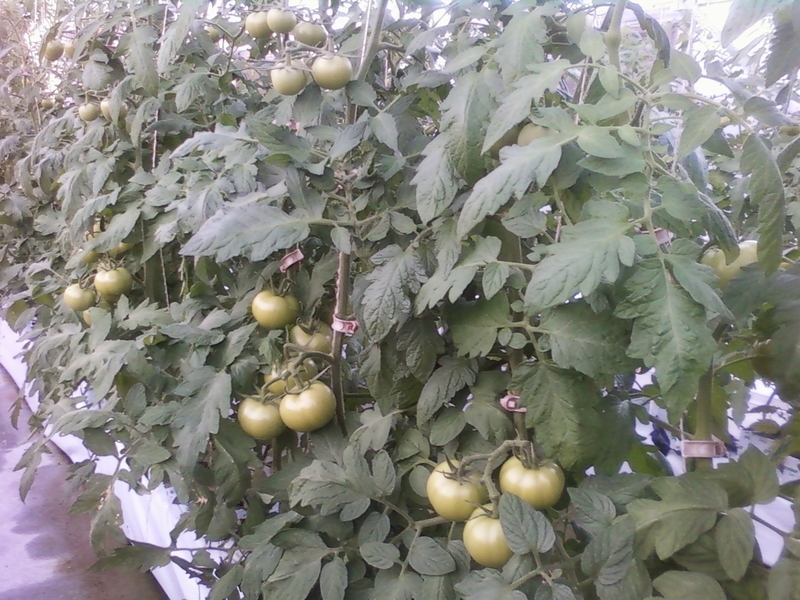 They try to always maintain about 5 or 6 large piles of compost, which are turned a couple times a month, watered, and checked for temperature. Almost all green waste from the garden is put into the compost piles, along with food byproducts and tons of wood chippings to provide good aeration. The piles are rich with fungi, arthropods, and other microorganisms. The ﬁnished compost is sifted by hand and used throughout the garden for tea, renovation projects, and any new plantings. Once Corey left for vacation, I was left with the duty of brewing compost tea 3 days a week and cleaning the system once a week. I was also in charge of the fertilizer schedule and making sure that each gardener was doing the applications correctly. Other than that and doing some soil sampling and gopher trapping, I was doing maintenance in each themed garden. It wasn’t easy work, but I enjoyed learning about the different needs of each type of garden. For example, the gardener in the Japanese garden taught me “Japanese-style” pruning, and the water gardener had me in a heavy duty Eddie Bauer wet suit walking around the large ponds and fertilizing the lotuses and water lilies. My favorite garden to work in was the bromeliad garden. 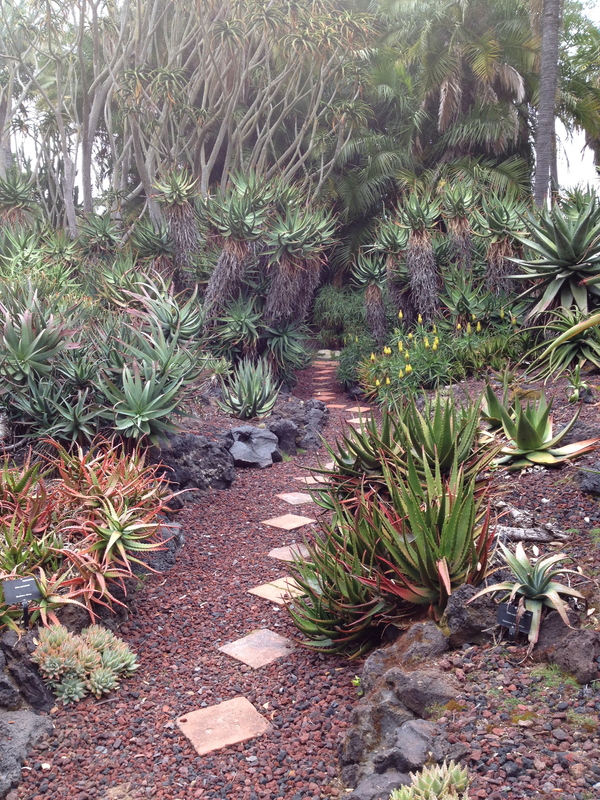 The gardener of the bromeliads, Mike Furner, has worked at Lotusland for 34 years and he really knows his stuff. He assigned me a landscaping project of installing a terrestrial bromeliad section of the garden. I also really liked working in the butterﬂy garden because all of the plants were so beautiful and they have the most gorgeous cannas I have ever seen. My least favorite garden to work in was the cycads because I kept getting myself poked by the spiny leaves and there was absolutely no shade and it was HOT. 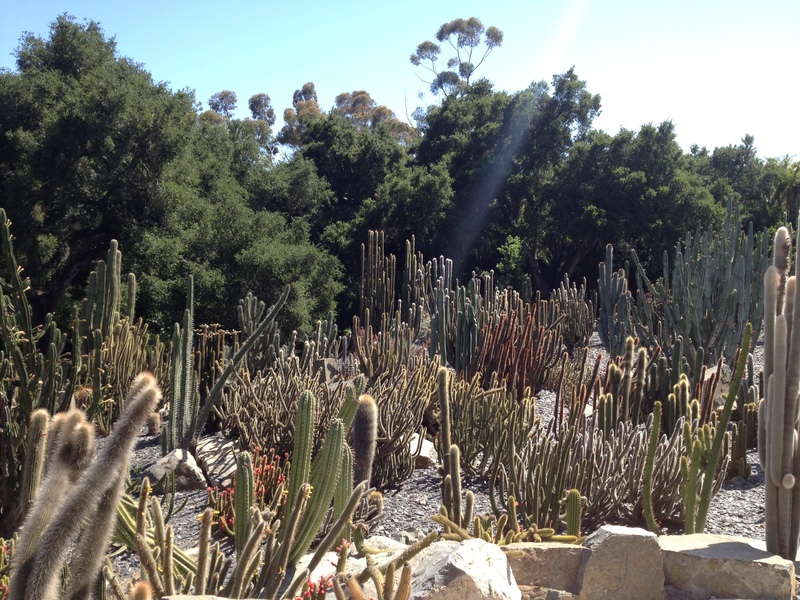 The cactus garden also didn’t have any shade, but I love cacti so it was bearable. The summer intern also gets to work at the main event called “Lotusland Celebrates,” which is their annual fundraising event and pulled in 500 guests this year. I got to work at the registration table and also at the auction. Doing the registration was a little stressful because it was so busy and all of the millionaires were antsy to get into the garden and didn’t want to wait in line. It was really cool to actually see and meet many of the donors that give so much money to make Lotusland what it is today. Working the auction was deﬁnitely my favorite part of the day, where I just had to observe and wave a ﬂag if I saw a bidder. There were 6 auction items and none of them went for any less than $10,000. It was fun to watch all of the bidders throwing out thousands of dollars like it’s candy and then laughing about it. This was deﬁnitely the fanciest party I think I’ll ever go to. When Corey got back from Germany, work deﬁnitely got more enjoyable and we were doing things that really tested my knowledge, instead of raking and pulling weeds. Corey constantly gets summoned by the staff to come look at damaged or diseased plants and then takes samples into his office to research and look at more closely. This part was the most fun for me, since we got to examine different pathogens and pathology has been my favorite class at Poly so far. My boss was really impressed with my ability to identify pathogens, speciﬁcally Armillaria, and my familiarity with preventative measures (thanks Dr. Yoshimura). 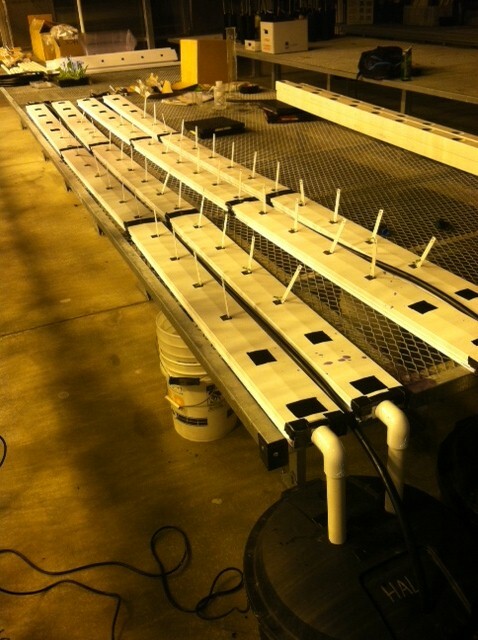 Corey was also happy to know that I had taken a Biological Control class, since he is really into beneﬁcial insects. 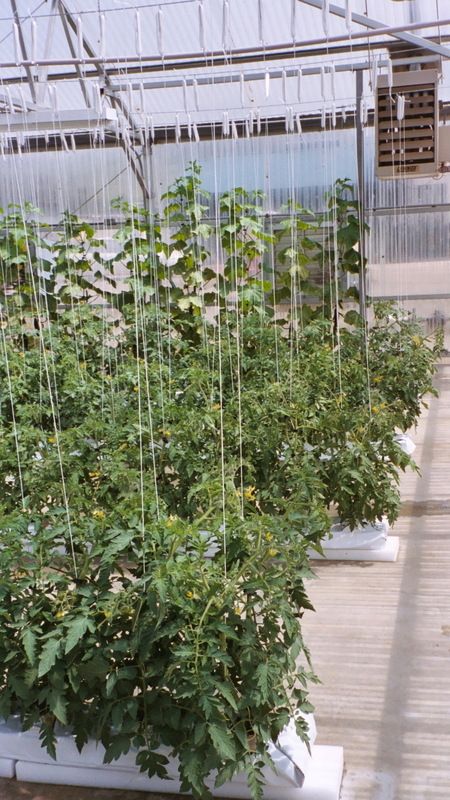 About 14 years ago, Corey–with help from professionals–strategically installed insectary plants all around the garden. He mostly used California natives such as salvia, Sambucus, coffeeberry, and coyote bush. These plants harbor and attract beneﬁcial insects into the garden, which then ﬂy in and attack the insect pests of the garden. I also got the chance to work with the curator and we went on a couple ﬁeld trips to nearby nurseries to pick up plants. Working with the curator was probably my favorite part of the program and really sparked my interest in curation. All in all, this internship was awesome and I learned more than I can even fathom. 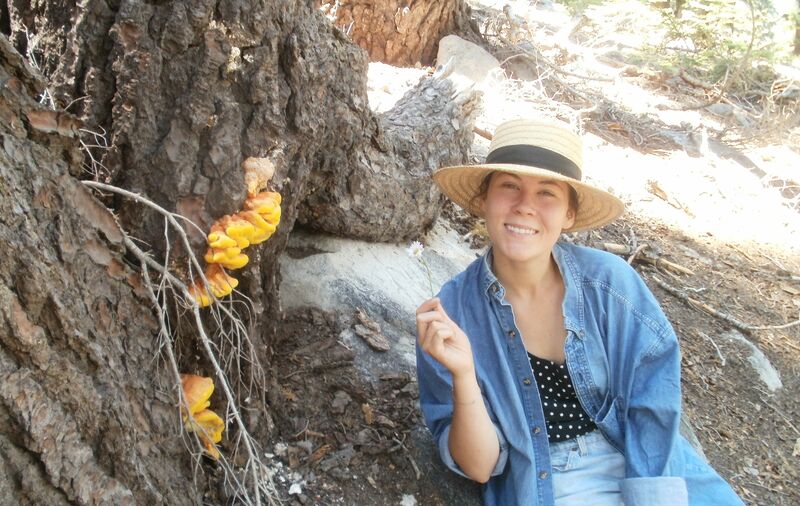 Corey taught me to consider the natural ecology of the surrounding environment and showed me how to renovate soils and create habitats for beneﬁcial organisms. 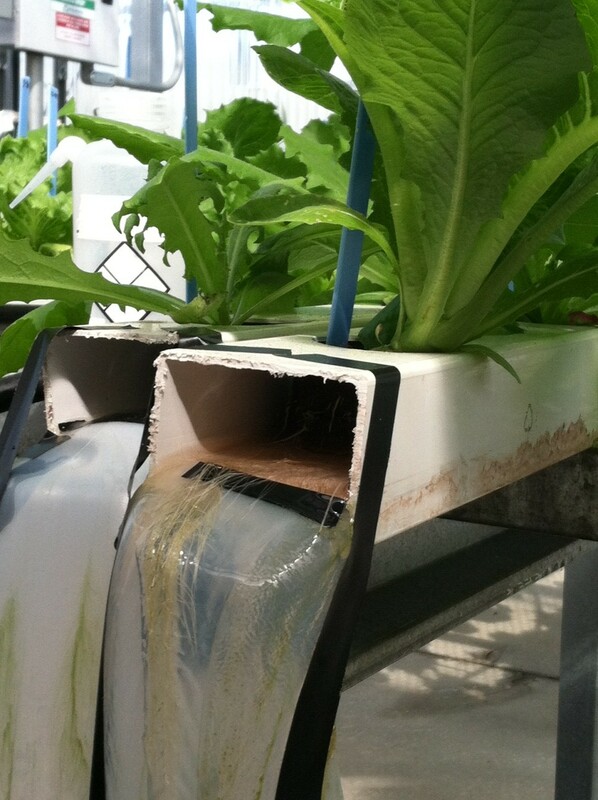 This ecologically-friendly approach goes way beyond integrated pest management or organic gardening; it uses holistic techniques that seek to address the roots of problems instead of applying a “band-aid” solution. I feel really lucky to have learned all these sustainable horticulture skills and plan to use these methods in my future career. I could honestly go on and on about everything that I did at the garden, but I don’t want to bore you guys, so I will stop here. Until next time! Sorry for the delay. It has been a rather hectic schedule since I left Iowa to finish my last quarters at Cal Poly! As of this point, I am taking my last three required classes at Cal Poly, and then it is back to Colusa I go. I felt that this blog was as good a time as any to reflect on my last five years in the HCS department. I came to this university in 2007. I didn’t know anybody, and realistically, I didn’t even really know myself. Since that time I have taken more than 52 classes and met lifelong friends. I have also had the chance to do things that I never thought possible such as travel both the world and the United States. I have been given the chance to not only be a student in a University, but be an individual at a school full of professors and staff who know me and what I need to succeed. The main purpose of a college degree is to help prepare you for a career, but along with that, it’s to help you find out what your passion is. 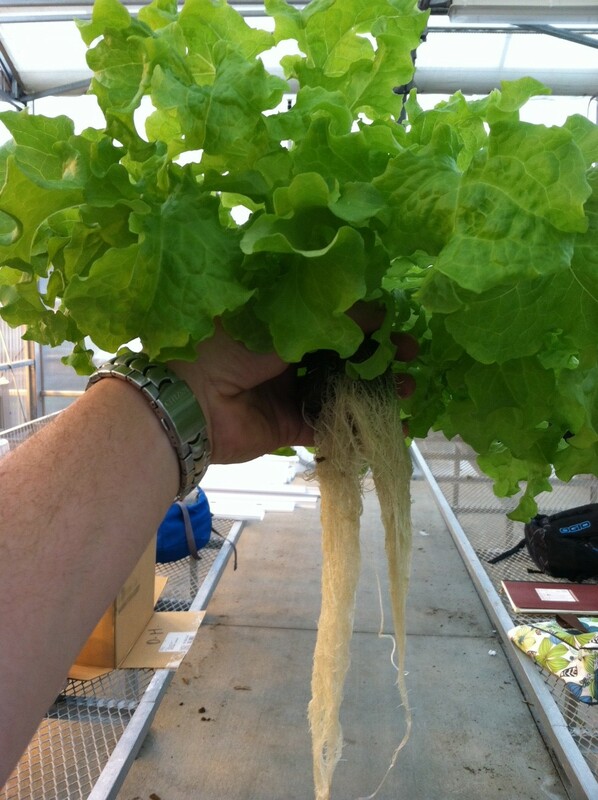 For example, I am currently growing hydroponic lettuce for my senior project. 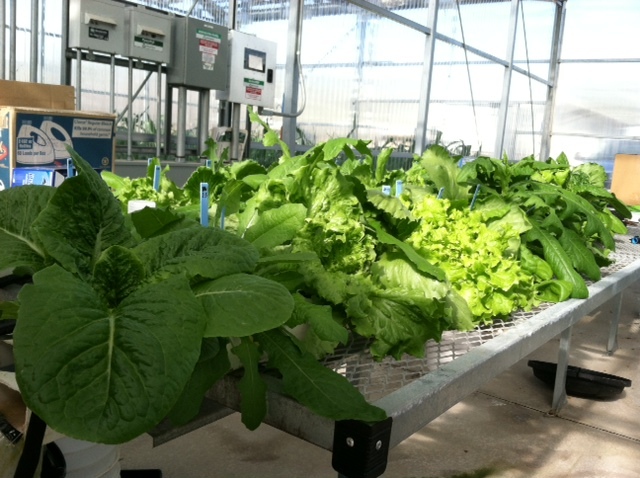 With this project we are hoping to start a breeding project that could help improve the way that we grow lettuce in California. None of this would have been possible without the help of my advisor, my professors, and my classmates. The project itself is an accumulation of everything I have learned at Cal Poly, and I really think it exemplifies everything that I love about this school. 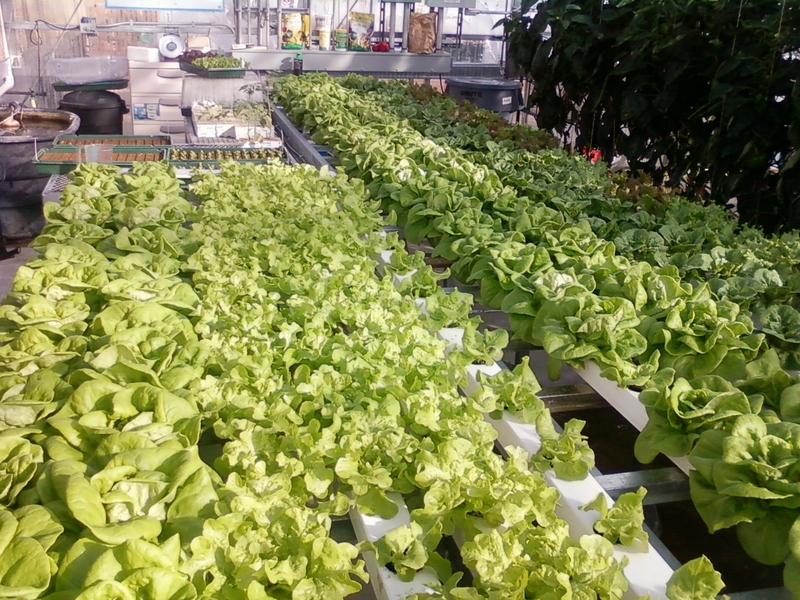 Before this project, I had never grown anything using hydroponics, yet here I am, one quarter later growing whole lettuce crops. Learn by Doing at its finest. I believe that this blog has given people a good look at our everyday lives and what it might mean to be a student at this school. If you love agriculture, learning, and growing as a student and as a person, come to Cal Poly, and become a member of our AEPS family.